The Schola Cantorum, liturgical choir of The Cardinal Vaughan Memorial School, sing alongside the Belgravia Chamber Orchestra, an orchestra drawn from the finest orchestral players in London, in Fauré's well-loved and well-known setting of the Requiem and his beautiful Cantique de Jean Racine. Old Vaughanian Jack Comerford is the baritone soloist in the Requiem. 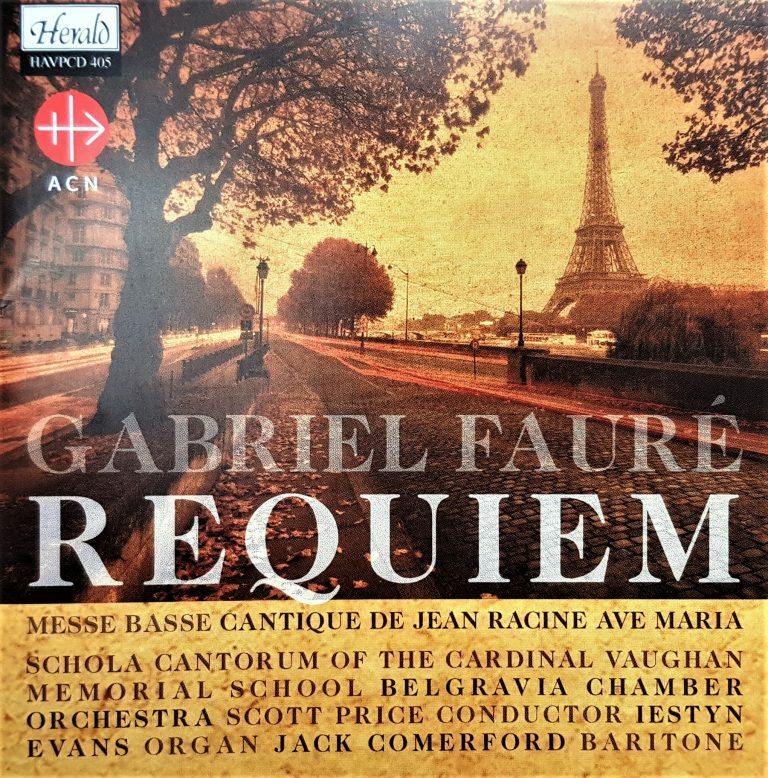 This CD contains a recording of Fauré's Messe Basse featuring the trebles of the choir whilst the older members of the choir perform Fauré's Ave Maria.